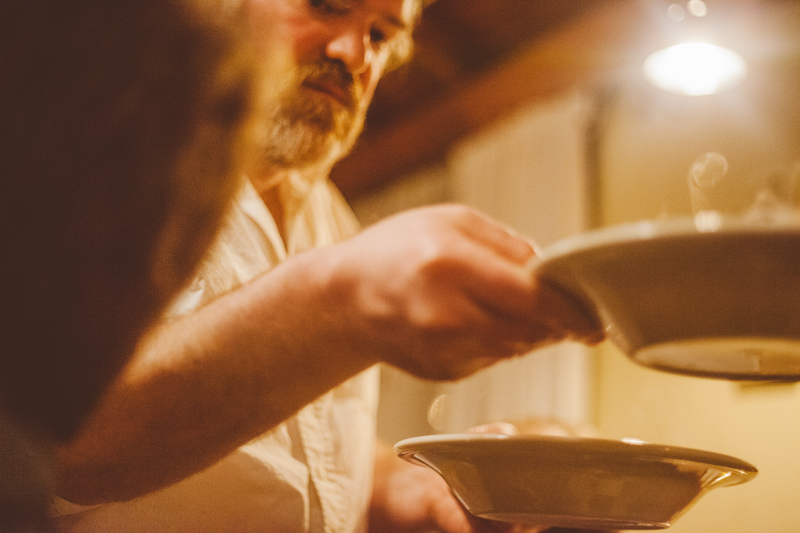 A few weeks ago, a group of friends went on a little dinner excursion to Vashon Island to pay a visit to La Boucherie. The restaurant is well known for its cuisine that is “farm to table” in almost every way. I don’t come close to considering myself even close to a food critic, foodie, or beholding any other sort of expertise in the realm. I can say, however, that the experience deserves the hundreds of four and five star reviews online written by other guests who had the privilege of being a guest in the restaurant “home” they’ve created for all who enter. We boarded the ferry as the sun was considering setting. The air was almost warm (which is rare for April in Seattle), but the warmth seemed to be hiding beneath the heavy wind coming from the sound. Having two car-loads of friends, made it feel somewhat like we were escaping the city for a grand adventure, even though we were only technically going 20 miles from my doorstep. So the ferry was fantastic. Somewhat of an “experiential appetizer” to the evening. We made our way to the little restaurant, where there are tables to seat maybe twenty guests. We were a party of eight, and were definitely taking up a large portion of the space. The environment, conversation, and dinner was just delectable. We enjoyed seven courses, starting with melt-in-your-mouth oysters, and ending with chocolate ganache filled poached pears. George, the owner, described the story of how he fell in love with the art of fine dining, and creating an experience of rich hospitality, when he spent some time in France years ago. From the second you walk in the door, you feel at home at La Boucherie. And when I asked George what his secret is to hospitality, he said it is just that….making people feel at home, and eager to settle in and stay a while. The elements of beauty are definitely present at La Boucherie — candles, linens, flowers, and soft lighting. But there is also much more being offered in the hospitality — you can sense the blood, sweat and tears that have been poured into the inter-workings of the farm and restaurant on a daily basis. And the fuel that seems to be driving all of the activity is a deep sense of passion, as well as a commitment to match it. And how can you not want to settle into a place where the walls were built with commitment and passion? Towards the end of the evening, George brought out a bottle of wine he had made in 2005, donned with a piece of masking tape identifying it as a merlot. It was quite the cherry to top off the eve….